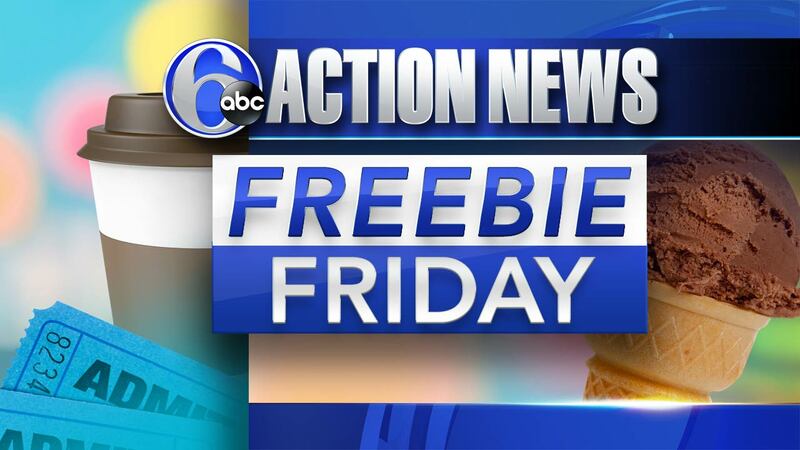 PHILADELPHIA (WPVI) -- It's almost Christmas and there are tons of freebies for the whole family to be found! Pottery Barn for Kids is feeling extra festive this year! Head to your local store on Saturday, December 23rd with the kids and they can enjoy holiday coloring pages and special holiday treats! There's only one week left to enjoy Franklin Square's free holiday festival, Electrical Spectacle Holiday Light Show. Watch more than 5,000 lights sparkle and shine to some of your favorite holiday classics. There's two alternating shows every 30 minutes from 4:30pm-8:30pm Sunday through Thursday and 9pm on Friday and Saturdays. Traveling to Grandma and Grandpa's house and need to keep your child entertained? Rad Road Trips is offering a free printable Christmas road trip activity book for kids, filled with all kinds of fun! Sign up for Panera Bread's rewards club, MyPanera, and you'll get a free pastry just for joining! You'll also score tons of other freebies as well. If you overindulged on too many Christmas cookies, UFC Gyms is offering a free 5-day gym pass to get you jumpstarted on that New Years weight loss resolution. McGruff is offering parents a child safety package. The package includes a fingerpring kit, McGruff the Crime Dog emergency number card, 911 instructions and more.